Body : In grade 25 cast iron with extra deep rib sections for greater rigidity under vacuum or pressure service. Numerous fixing positions. 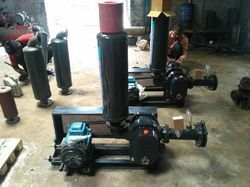 This is an advanced design of Tri Lobe Roots Blower which is also called as rotary lobe compressor. 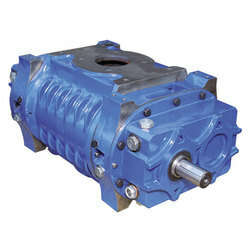 Basic concepts present in a Twin Lobe Rotary Compressor are modified. The configuration of Rotor is changed to Tri Lobe. This profile enables the rotor pair to entrap and sweep the volume of air/gas 6 times in a revolution. We are a well-renowned organization in the industry to provide our patrons the best quality array of Tri Lobe Blowers.